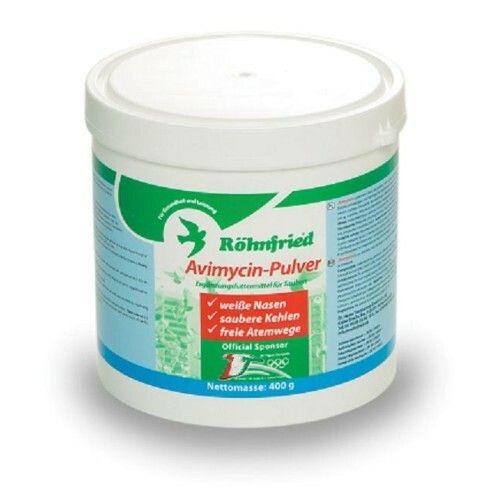 Avimycin Pulver 400gr by Rohnfried prevents respiratory infections in pigeons, made with 100% natural ingredients. - Keeps in perfect condition the airway. - Middle and long distance: administer after the return, for 2-3 consecutive days beginning Monday. - 10 grams per day for 20 pigeons.